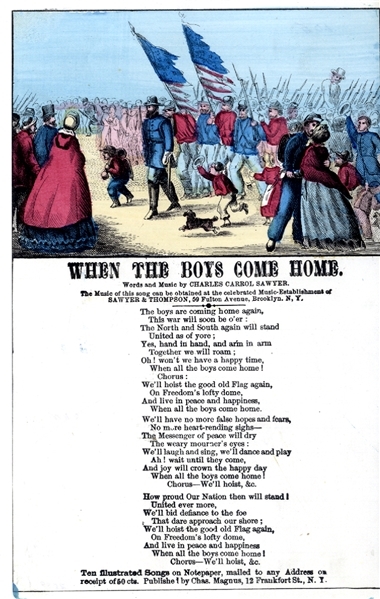 Hand-colored songsheet “When the Boys Come Home.” by Charles Sawyer, 1pp. ocatvo, published by Charles Magnus, with image of returning troops. Fine condition.